Purchased the LGW a few months ago, after quite a bit of research online. I own a number of overdrives including the Texas Bones, Boss Blues driver amongst others. What I really enjoy about this pedal is the way it reacts with other overdrives. 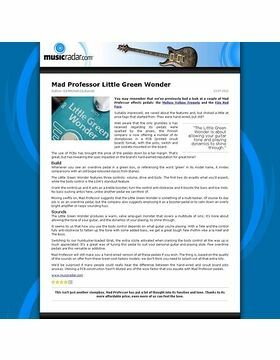 It calms down a fizzy overdrive, or can be used as a clean boost in front of a tube amp. I also have a Vox Tonelab SE which it will quite happily sit in front of, and warm up the sound. In fact, I haven't found a situation it cant handle, from using it with my Tonelab setup, to my Fender Supersonic 22, which I just love. 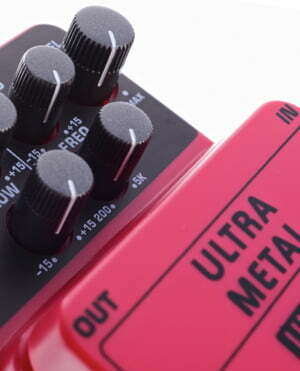 Don't think Metal with this pedal, more Classic overdrives, which react to your picking and volume knob on the guitar. 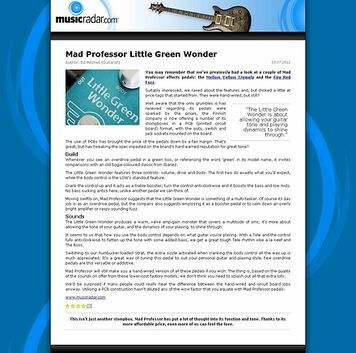 This is my must have pedal now, and is a real keeper, don't take my word for it, there are some great clips on you tube, or on the Mad professor site. I really like the tone knob to balance this pedal for single coil pickups. Built rock solid and sounds great! 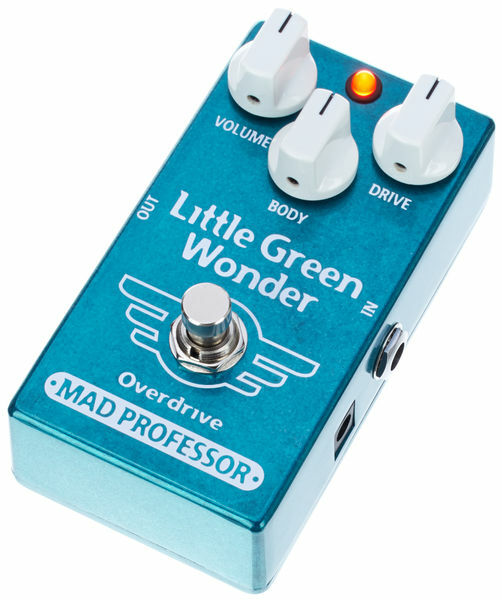 Even if it's low compression pedal I feel it's a tiny bit too much compression for everyday overdrive use. I like it a bit more crispier! ID: 278934 © 1996–2019 Thomann GmbH Thomann loves you, because you rock!